Christ’s Mission for the Church or Yours? Home » Blog » Christ’s Mission for the Church or Yours? “Missional” is a vogue word for contemporary evangelicals. Mission can defined in many ways. But what mission did Christ give to the Church? 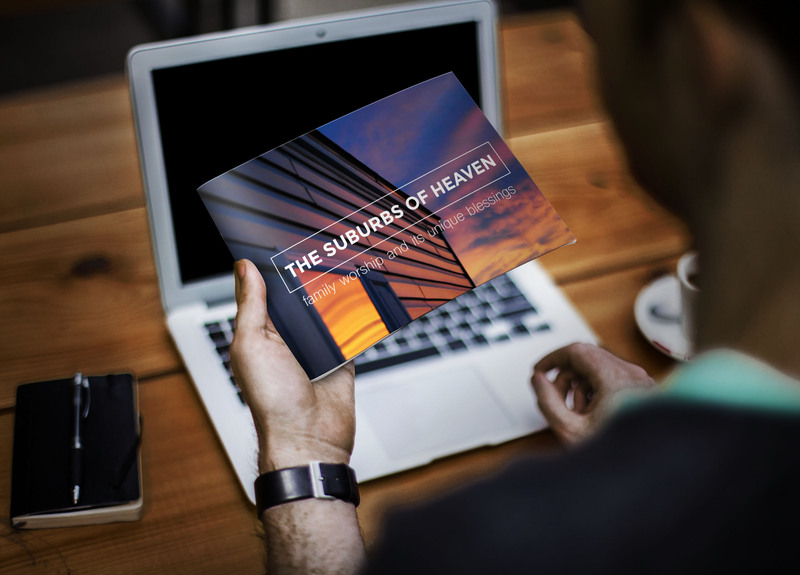 Does it allow us to “reinvent” the Church in order to be relevant?Who were being commissioned by Christ? The following excerpt is from a free e-book published on this site. 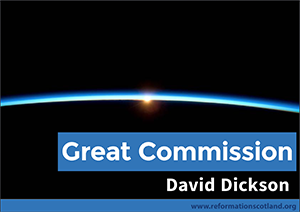 Great Commission by David Dickson opens up Christ’s commission to the Church in Matthew 28:18-20. It is an updated extract from Dickson’s commentary on the Gospel of Matthew. Christ has supreme, sole and absolute authority as the only Head and King of the Church. It is for Him to appoint and maintain the way and means of gathering, preserving and ruling His Church and all its affairs to the end of the world. This is what we are to understand by these words when we compare them with other parts of Scripture. “All power is given unto me in heaven and in earth”. The ministers and rulers of the Church are restricted to following the commands given to them from Christ. They must not give any commands to the Church except the commands of Christ. They must teach all these commands and only these commands. “Teaching them to observe all things whatsoever I have commanded you”. Christ’s baptised disciples may not live as they wish. They must make sure to observe everything that Christ has commanded His ministers to teach them. He says, “teaching them to observe all things whatsoever I have commanded you”. Click here to view and download the complete e-book free of charge.